Managed by the mother-daughter tandem of Melyn Le Roy Cabana and Joanna, JM Hair Creations is a breath of fresh air in Kingston's Andrew Arcade. JM's Hair Creations is creating a name of their own by providing excellent service with value for money. Our expert stylists and colourists can make your hair dreams come true. 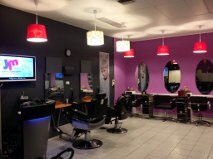 Sit back and relax in the intimate and welcoming atmosphere of our professional hair salon. One of our friendly and experienced stylists will consult with you on your hairdressing needs and wishes. Whether you want to freshen up your look, or are after a more radical change, our hair salon in Kingston offers affordable hairdressing services that will have you looking and feeling amazing! The salon's interior is very evident of the owner's personality, classic with a distinct style and flair of creativity. These characteristics are carried over to their work ethics. Many of their customers can attest to the attention and personalised service. &quot;We do a variety of creative work from Hairstyling to Precision Haircuts, Colour, Highlighting, Keratin Smoothing Treatments and Japanese Hair Straightening&quot;, says Mel. We are so excited about our new salon in Kingston and are offering all sorts of great incentives to our valued clients. For instance, we are offering men&Atilde;&cent;? ?s value-for-money haircuts from $25 and women's hair care services, styling and colouring at very affordable prices&quot; Visit our website for a complete list of services. Connect with us via Facebook, Instagram and Google+. Barber 2u is a mobile barber service brought Direct to your home for your convenience offering a full range of the latest men's hairstyles and traditional haircuts . Price list . Adult $20 boys $15 pensioner $15 after 6 PM add $10 . Now servicing Kingborough area Margate Sandy Bay and Taroona. Your local beauty salon, from waxing and tanning to massages and facials.nails, piercing and couples massages IPL and shellac and much more, qualified beauty therapist and an award winning salon. Award-winning Hair Salon in Kingston, Tasmania. 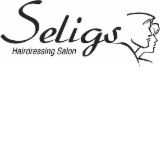 As Hair Experts, we specialise in a variety of hair treatments, hair styling, hairdressing, and hair colouring. AT A GLANCE Expert hair colour Amazing hair cuts Inspired hair design Beautiful hair styles Long hair extensions Come in and see Paul, Christine, Sarah & Janet today! Everybody needs a little extra attention sometimes. Come and see the team at Paul's Hair Salon and get the most delicious treatment available at a hair salon in Kingston. Our hairdressers are experts in colours, cuts, design and styling. Enjoy a beautifully fragrant treatment, head massage and professional style before a special night out. Welcoming you Sit back and relax in our intimate and professional hair salon! One of our friendly and experienced stylists will consult with you on your hairdressing needs and wishes. Whether you want a fresh new look, a total change or just a new colour-style, our hair salon in Kingston offers affordable hairdressing services that will have you looking and feeling amazing! Paul's Hair Salon has a passion for your hair and we will give you the hairstyle that fits your personality. Experienced hairdressers with creative flair A hairstyle is hugely influential on an individual's self-image, so we endeavour to achieve the best possible hair results. Our hair salon in Kingston is one that prides itself on fully committing ourselves to you and your hair. Relax in a comfortable and modern atmosphere, and leave feeling refreshed. We consult before we cut You are in trusted hands with Paul's Hair Salon! Before cutting your hair, our stylists consult with you and provide expert advice based on your individual preferences. We strive to create a cut or style that is personally suited to you, using our top-of-the-range products.